November 7, 2018 / Modified nov 7, 2018 2:08 p.m. The two were separated by a small fraction of the votes tabulated, with hundreds of thousands of ballots uncounted. 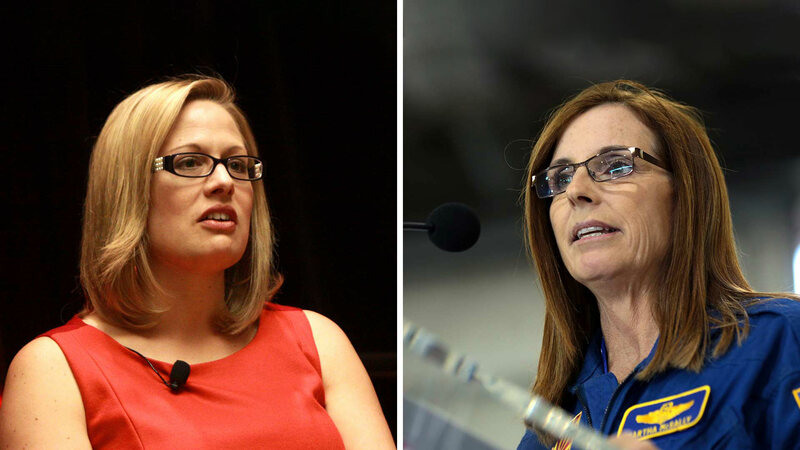 Kyrsten Sinema, left, and Martha McSally. PHOENIX — The extremely tight U.S. Senate race in Arizona between Republican Martha McSally and Democrat Kyrsten Sinema is too close to call. The two were separated early Wednesday by a small fraction of the votes tabulated, with hundreds of thousands of uncounted ballots still outstanding, including more than 80,000 in Pima County. Most Arizona voters cast their ballots early by mail. Those who receive early ballots but then drop them off in person at polling stations on or close to Election Day can jam up the system. That's because the state's most populous county, Maricopa, can take days to count those ballots while they simultaneously tabulate Election Day votes. The so-called "late earlies" may not be counted until Thursday by the county.